One of the largest and most complex human services systems in history has evolved to address the needs of people with autism and intellectual disabilities, yet important questions remain for many professionals, administrators, and parents. What approaches to early intervention, education, treatment, therapy, and remediation really help those with autism and other intellectual disabilities improve their functioning and adaptation? Alternatively, what approaches represent wastes of time, effort, and resources? 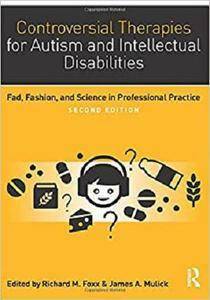 Controversial Therapies for Autism and Intellectual Disabilities, 2nd Edition brings together leading behavioral scientists and practitioners to shed much-needed light on the major controversies surrounding these questions. Expert authors review the origins, perpetuation, and resistance to scrutiny of questionable practices, and offer a clear rationale for appraising the quality of various services. 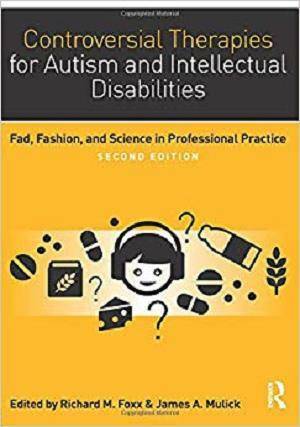 The second edition of Controversial Therapies for Autism and Intellectual Disabilities has been fully revised and updated and includes entirely new chapters on psychology fads, why applied behavioral analysis is not a fad, rapid prompting, relationship therapies, the gluten-free, casein-free diet, evidence based practices, state government regulation of behavioral treatment, teaching ethics, and a parents’ primer for autism treatments.